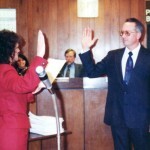 Paul Stein was elected to his first term as Supervisor of District 2 in 1997. 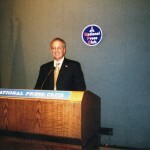 Paul served two terms as the representative from District 2 and was Charmian of the Board in 1999 and 2003. 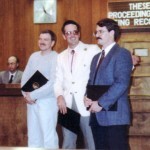 While serving as Supervisor, Paul represented the Board on all commissions that dealt with water related issues including the Mountain County Water Association, Upper Mokelumne River Association, Calaveras Amador Mokelumne River Association and was the Board liaison with the East Bay Municipal Utility District. 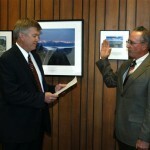 Director Ryan Brodderick administes the oath of office for Paul Stein who was appointed as the Chief Deputy Director of the California Department of Fish & Game by Governor Arnold Schwarzenegger. Paul served in this capacity durning the Governor’s first term. 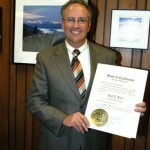 Paul Stein was a high angle rescue instructor for the Calaveras and Amador County Sheriff Search and Rescue Team. 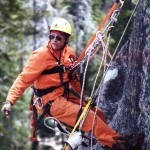 Paul served as Captain of the Calaveras County SAR Team from 1982 to 1997 . Paul was a visiting instructor at Joshua Tree National Park teaching high angle skills to students from throughout the country who visited this highly technical SAR school. 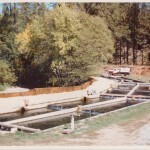 Kemoo Trout Farm Ltd. as it was configured during the period 1984-1997. This operation was capable of producing 100,000 quality rainbow trout on four cubic feet/sec gravity flow from the Middle Fork Mokelumne River in Northern California. 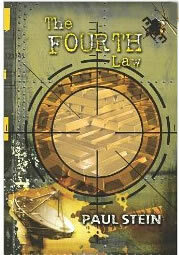 EBookSherpa.com has announced that The Fourth Law by Paul Stein will be used to launch this new site for eBook readers. Co-Founded by Gail Bowman and Kirk Ericson, both graduate students at the University of Chicago Booth School Business, eBookSherpa is fashioned after the old Columbia House Book Club, only for eBooks. Paul will be signing copies of his new book: The Fourth Law at Barnes & Noble in Stockton, May 26th from 6:30 – 8:30. He will be joined by other Motherlode authors who are members of the Manzanita Writers Group.